There is something about spending time with friends and family over a cozy campfire that just brings people together. You’ll be spending more time outdoors and less time in front of the television which is good for everyone. We see lots of people camping with three generations together all at once. Family reunions can bring even a fourth or fifth generation together to celebrate with each other. You can’t go wrong when spending time with family and camping makes it all the more enjoyable. Make your reservation now. 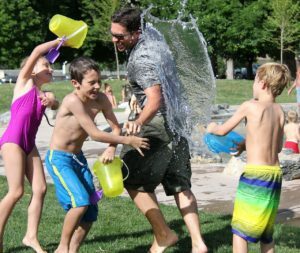 We think your family will love it here at Maple Lakes Campground.